MS is a disorder of the central nervous system (CNS) which includes the brain, spinal cord and optic nerves. The CNS is responsible for our conscious and unconscious functioning, including movement and the response to sensations such as sight, touch and hearing. It directs these functions by sending its instructions in the form of electrical impulses to the appropriate sites along nerve fibres. The course of MS is unpredictable. Some people are minimally affected by the disease while others have rapid progress to total disability, with most people fitting between these two extremes. 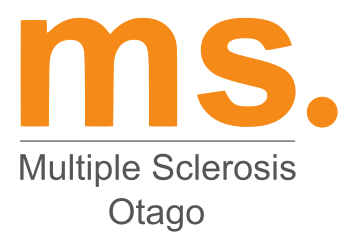 Although every individual will experience a different combination of MS symptoms, there are a number of distinct patterns relating to the course of the disease. Evoked potential (EP) tests are recordings of the nervous system’s electrical response to the stimulation of specific sensory pathways (e.g., visual, auditory, general sensory). Because damage to myelin (demyelination) results in a slowing of response time, EPs can sometimes provide evidence of scarring along nerve pathways that does not show up during the neurologic exam. Visualevoked potentials are considered the most useful for confirming the MS diagnosis. The cause of MS is still not known. Both genetic and environmental factors are important, but how they interact to produce episodes of localised inflammation over many years is not clear. MS is widely regarded as an autoimmune disease. Here the body produces a misdirected immune system attack on its own tissue—in this case the myelin sheath that protects the axons, but that has never been firmly established. A reaction to a virus hidden in the CNS has been long suspected, but also not proven. In persons with MS, the immune system appears to be normal in all other respects. MS is not a hereditary disorder in the sense of being passed directly from parent to child. The increased risk in close family members is not attributable to a single gene, but most likely related to several genes whose function is not well understood—some of these probably influence the body’s immune reactions. A striking environmental feature is the increase in prevalence of MS in higher latitudes both above and below the equator. In NZ, for example, the prevalence in the South Island is approximately twice that in the upper half of the North Island. The pattern of migration from Northern Europe may contribute to that distribution, but undetermined environmental factors are most important. Among many possibilities, exposure early in life to a virus infection that has a long-term effect on immune responses is thought most likely. However, none of the numerous viruses suspected can be directly linked at present. 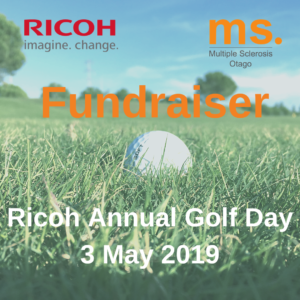 In multiple sclerosis, damage to the myelin in the central nervous system (CNS), and to the nerve fibers themselves, interferes with the transmission of nerve signals between the brain and spinal cord and other parts of the body. This disruption of nerve signals produces the primary symptoms of MS, which vary depending on where the damage has occurred. Over the course of the disease, some symptoms will come and go, while others may be more lasting. Some symptoms of MS are much more common than others. MS can sometimes affect a person’s ability to think and remember. Common observations include: “I find it very hard to concentrate”, “I often can’t find the words i want to use”, “I have trouble remembering names of people”. The technical term for problems with thought process is ‘cognitive dysfunction’ and whether a person with MS will experience these problems cannot be predicted from age, level of physical disability, duration of MS, type of MS, or intelligence tests.Cognition refers to a range of high-level brain functions, including the ability to learn and remember information: organize, plan, and problem-solve; focus, maintain, and shift attention as necessary; understand and use language; accurately perceive the environment, and perform calculations. Cognitive changes are common in people with MS—approximately 50% of people with MS will develop problems with cognition.